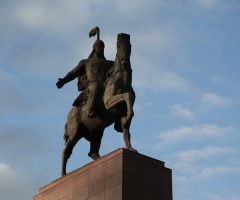 This tour offers an excellent opportunity to travel along the ancient Silk Road through three countries along the way: Kyrgyzstan, China and Pakistan. You will experience very diverse and spectacular landscapes, different people and their particular cultures. 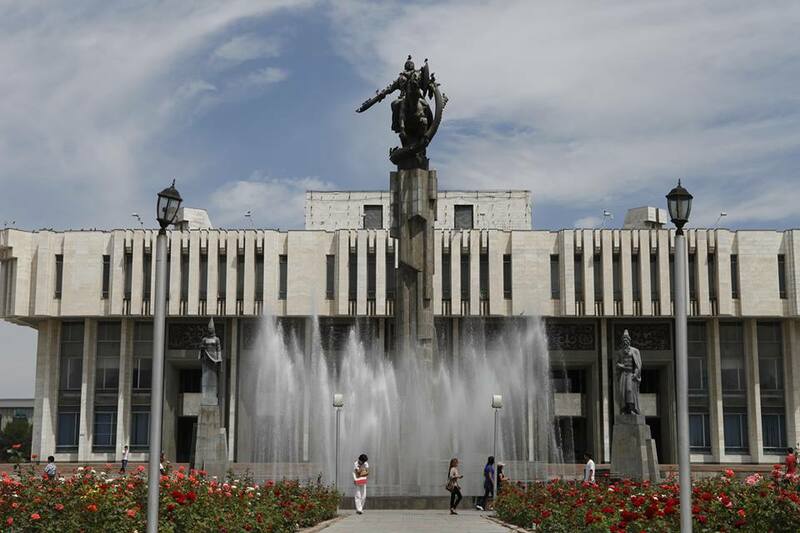 The journey starts from Bishkek, the capital of Kyrgyzstan, Central Asia. Since 2010, the country has a parliamentary democracy and demands no visa from most European visitors, up to a period of 2 months. 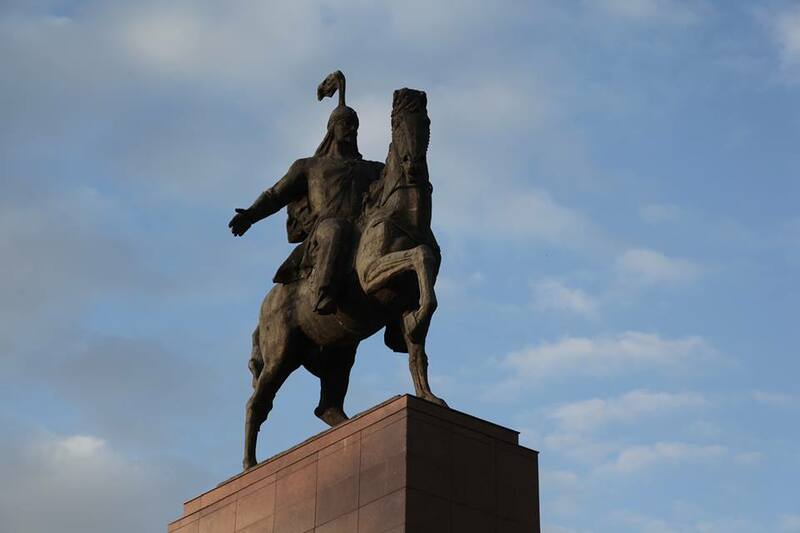 Until the 18th century, Kyrgyzstan was under Mongolian, later Chinese control. Then it was by force incorporated by the expanding Russian empire. 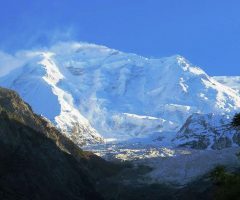 The country is situated on the high elevation, nearly 95 % is covered by mountains. 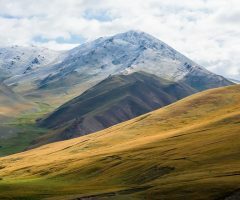 Near to Yssyk Köl, the second highest lake worldwide, in the Tianshan-mountains the highest peak of Kyrgyzstan Dschengisch Tschokusu (7.439 m) is situated. On our way to China, we will travel along the shores of this lake. A completely different nature expects us in China. 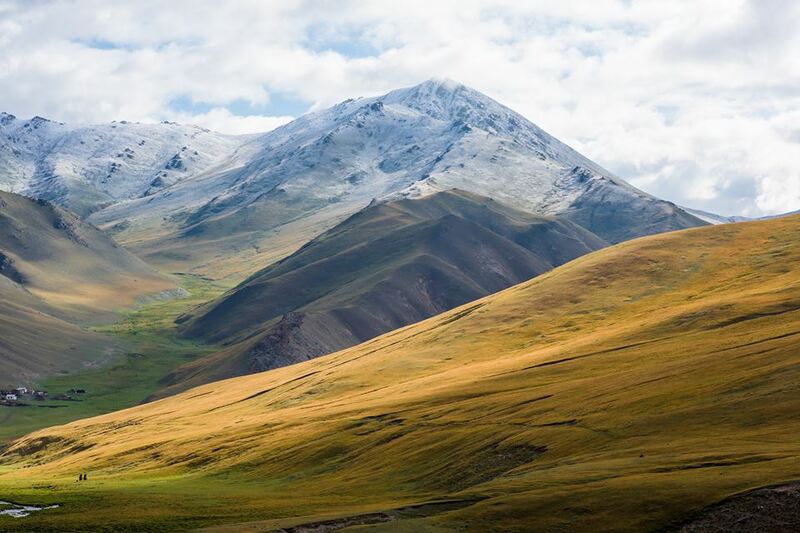 Our tour leads to Kashgar in the Chinese province of Xinjiang. 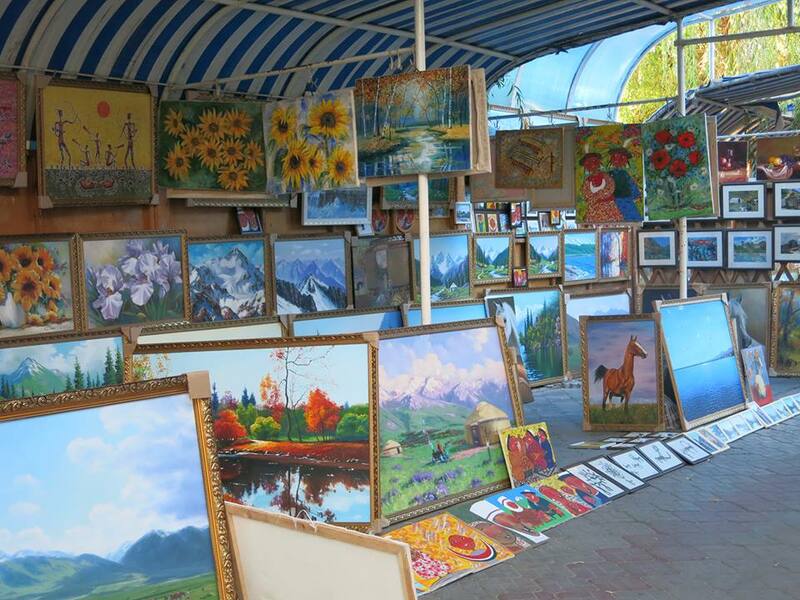 It is an old caravan-city, in which the ancient center of the town testifies its grand history. 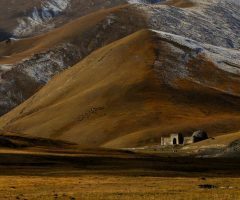 Kashgar lies close to the Taklamakan desert and once offered travelers a welcoming resting place on their arduous journey that often lasted for months. From Kashgar, a tarmac road that was completed in the late 80 leads to the border of Pakistan on the 4.753 m high Khunjerab Pass. Today, the distance can be covered within one day. 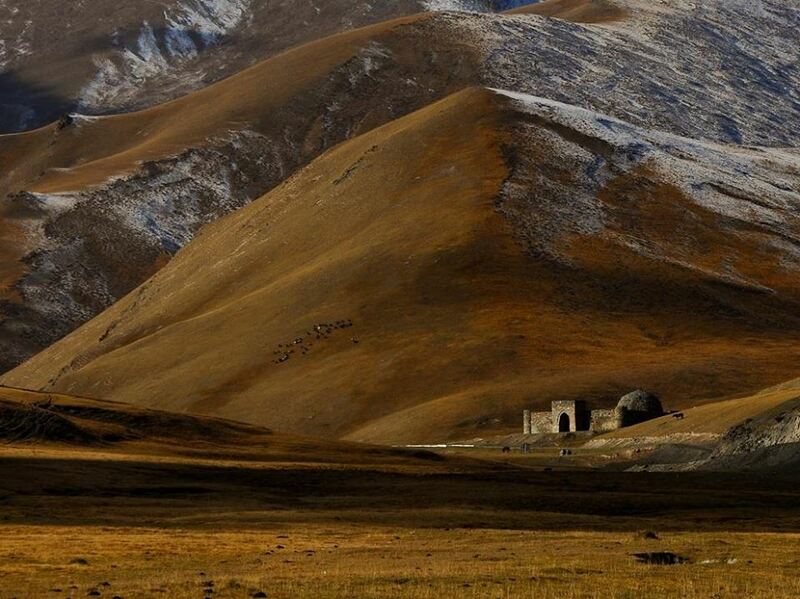 We will stay the night in the 2.000-year-old town of Taxkurgan, on 3.300 m above sea level. 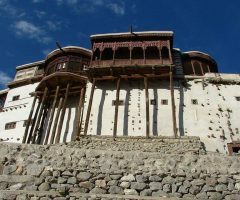 Our travel along the newly renovated Karakorum Highway winds through steep gorges and bizarre formations of rocks down to Hunza, which appears to be an image of the mythological Shangri-La. 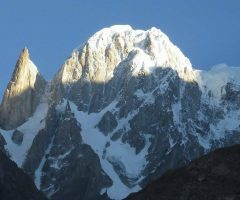 The valley is situated spectacularly between two over 7.000 m peaks. Its beauty is breathtaking. 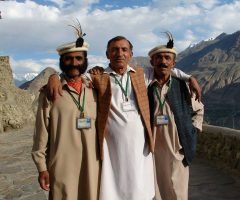 Most of the local people are Ismaili with the Aga Khan as their spiritual leader. 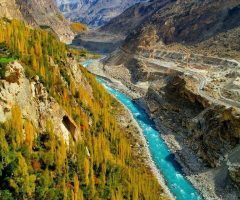 Only a few hours downstream the district capital Gilgit is located in a wide valley at the junction of Hunza and Gilgit River which itself only a few kilometers further flows into the great Indus River. 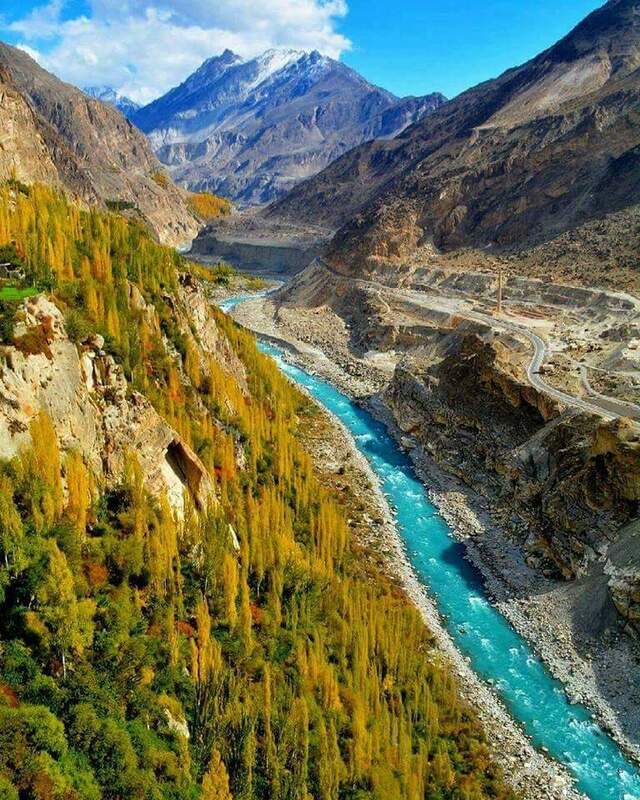 Our journey continues from Gilgit on the famous Karakorum Highway along the huge gorge of the Indus River to Islamabad, the capital of Pakistan. From here you will fly back home. Arrival at Bishkek ,meeting with your guide at the airport. 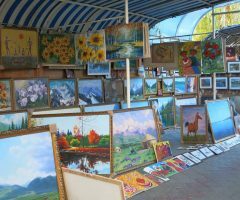 transfer to Bishkek city. Accommodation in the hotel. 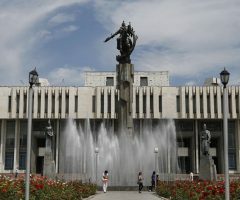 After rest in the hotel,start city tour in Bishkek. 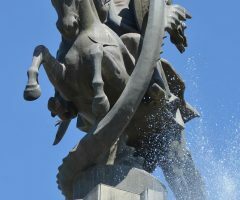 Visit main square Ala too and see Guardians of honor, Mana and Kurmandjan Datka monuments, Oak Park and fine art gallery under clear sky. also visit state Historical Museum if its open. overnight in the hotel. 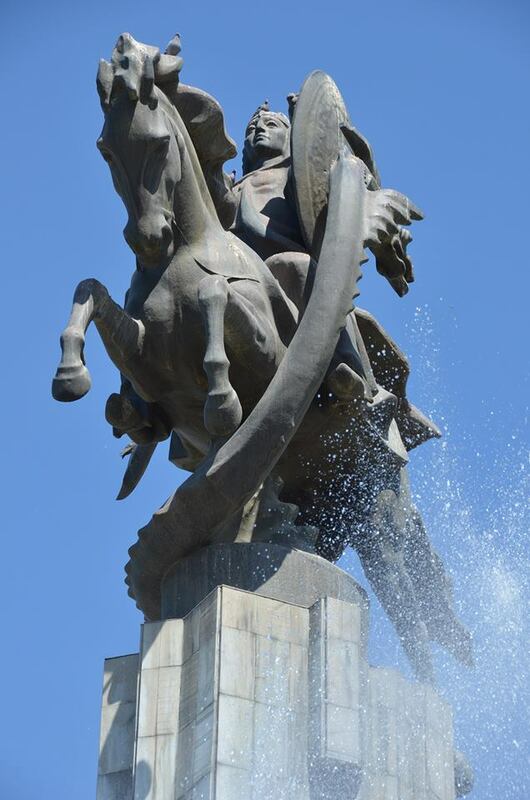 Day-2: Bishkek City/Cholpon Ata Town.280km. In the morning, after breakfast transfer Issyk-Kul Lake. 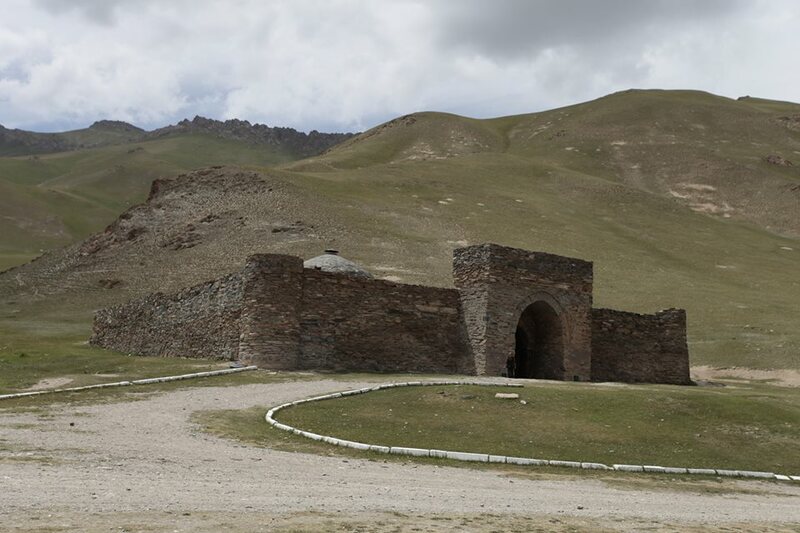 en route we make an excursion to the historical and architectural complex ,Burana Tower,,(XI century),which is located 12km southwest of Kirgiz Tokmak city. Our way goes through narrow Boom gorge, to Balykchy town and further along the north shore of the Lake. Arrival to Cholpon Ata.Visit petroglyphs site and accommodation in resort on the shore of the Lake.Dinner and overnight in resort. Day-3: Cholpon Ata town-Tash Rabat Caravanserai.380km. After breakfast transfer to Tash-Rabat.We drive over the mountain pass with stunning views. En-route visit Kochkor village to see local souvenir shop-museum and buy some stuff. Continue to Tash-Rabat, upon arrival we go inside the Caravanserai. Photography and video filming, rest. Overnight and dinner in a Yurt. 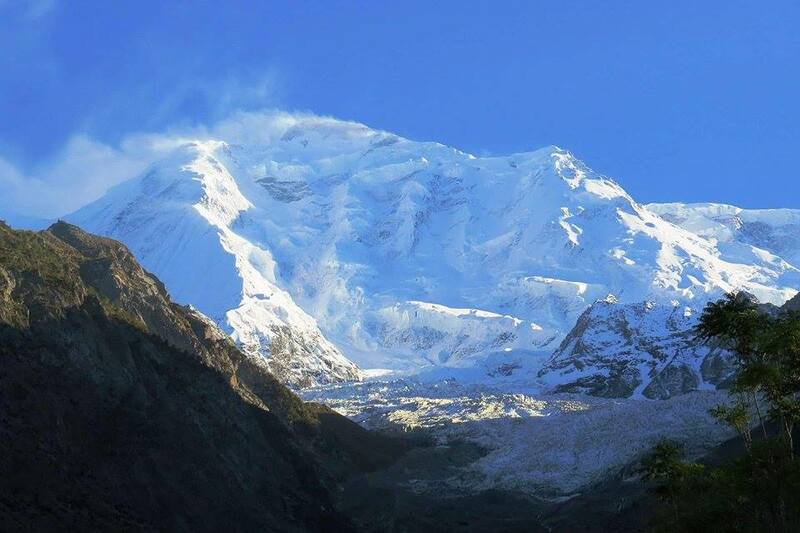 Today after breakfast we are going to Gyrgyz-China border-Torugart Pass, It is a beautiful way. 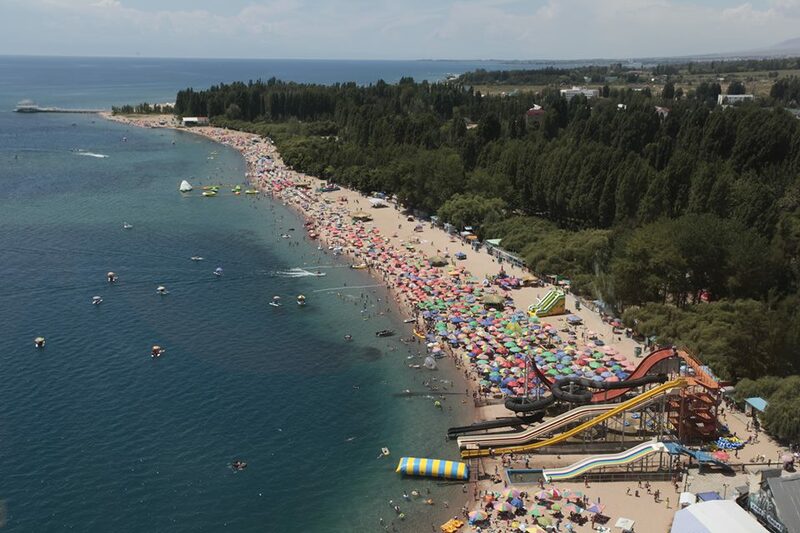 You will see the third biggest Lake in Kyrgyzstan-Chatyr Kul Lake. 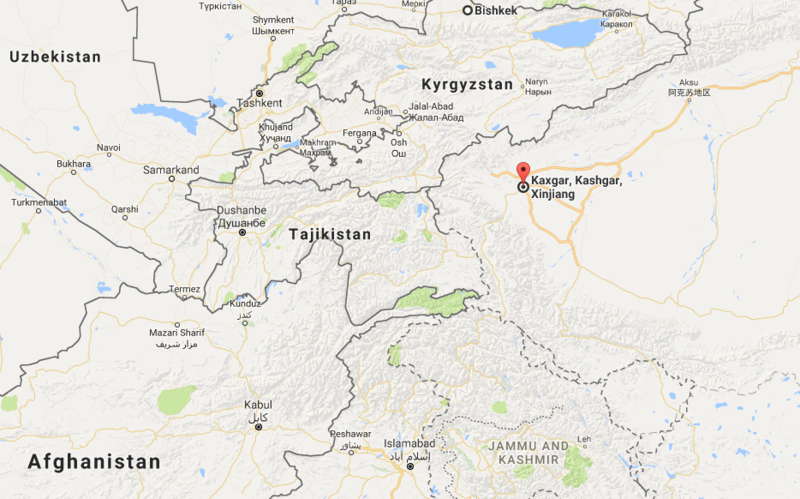 after all formalities, you will drive to Kashgar. On arrival Transfer to hotel. with over 2000 years old history Kashgar is an isolated desert City,located at the western end of the Taklamakan Desert, Sightseeing at Kashgar bazaar, dinner at Local restaurant ,overnight in hotel. If any place is to be seen where time has stood still, it is Kashgar, or Kashi, as it is known locally, one finds walking through the narrow lanes of old town, a scene from Arabian Nights, and a culture that has remained intact from outside influences and local people are very friendly, Amongst the most popular professions include coppersmiths, blacksmiths, carpenters, jewellers and cobblers all using tools of bygone days, We will Visit Abak Hoja Tomb, the Eid Gah Mosque and the old town ,an opportunity to take a ride on the donkey cart taxi, dinner and overnight at hotel. Sunday bazaar in Kashgar, Once a week, on Sundays, the population swells by over 100-000 people-all have varied ethnic origins like Uyghurs, Tajiks, Kyrgyzs, and Kazaks ect, selling wares from scissors to a camel. They come by foot, horsebacks, bikes, and donkey carts. 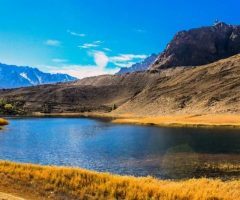 A drive via Khunjerab Pass will get you into Pakistan, to the mountain kingdom of Hunza,(262km),In the older time, there were few high passes leading from China, that were suitable for travel. 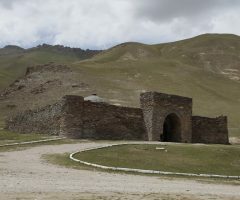 Today the Khunjerab Pass, which at an Elevation of 4734m is the highest point on the Karakoram highway, provides an easy all-weather entry from the famous Sinkiang Province of the Peoples Republic of China. 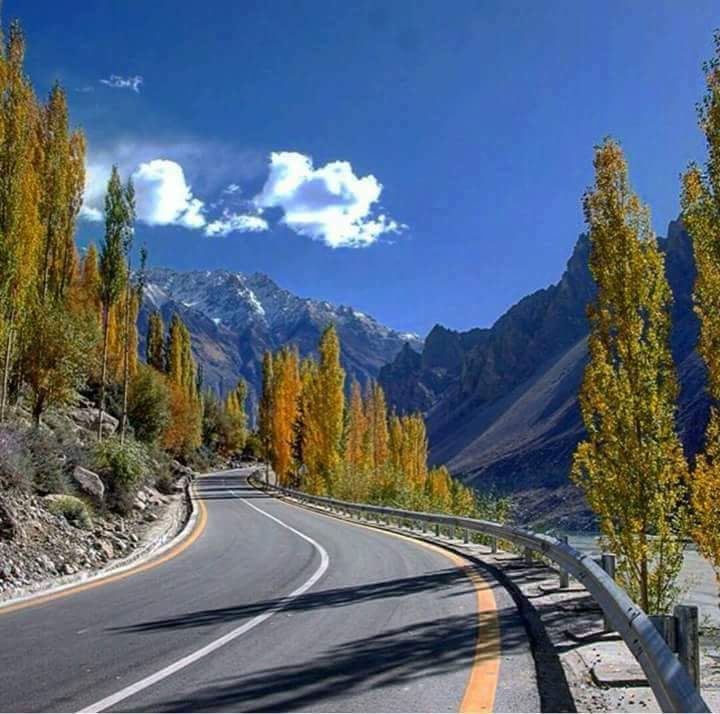 This route is a beautiful drive, with views of the high mountains of Karakorams and distant Pamir Mountain Ranges, Khunjerab is now declared a National Park, one can see Marco Polo Sheep (ovis ammon poli),We do our lunch at Sost, the 1st town of Pakistan side, after lunch proceed to Gulmit,5-7 hours drive from Taxkorgan to Sost, and further 1-2 hrs to Gulmit, dinner and overnight at hotel. After breakfast, we drive to Gulkin Village, from there we will start hiking to Borit Lake over Gulkin glacier, almost 1-2 hours walk on Gulkin glacier, we will reach Borit lake, a beautiful lake in the middle of small Village of Borit, our staff will provide lunch at Borit lake, after lunch some walking around Borit Village, visit some traditional old houses at Borit Village, meet the local people afternoon back to Gulmit, dinner and overnight at hotel. After breakfast, we start driving to Karimabad ,(45 min drive)en route we will make photo stop at Attabad Lake or Know as Gojal Lake, on 4th January 2010,a massive rockslide blocked the Hunza river at attabad, a 22km long lake developed behind the barrier, proceed to Karimabad, Very few places in the world compare with this small mountainous region, which was a semi-autonomous state until 1974, During the summer there is an abundance of apricots, peaches, pears and grapes, Hunza lies on the ancient trade route to Kashgar in the Chinese Province of Sinkiang, Hunza is probably most famous for longevity of its people, due to their simplicity and natural diet, along with the unpolluted mountain air. 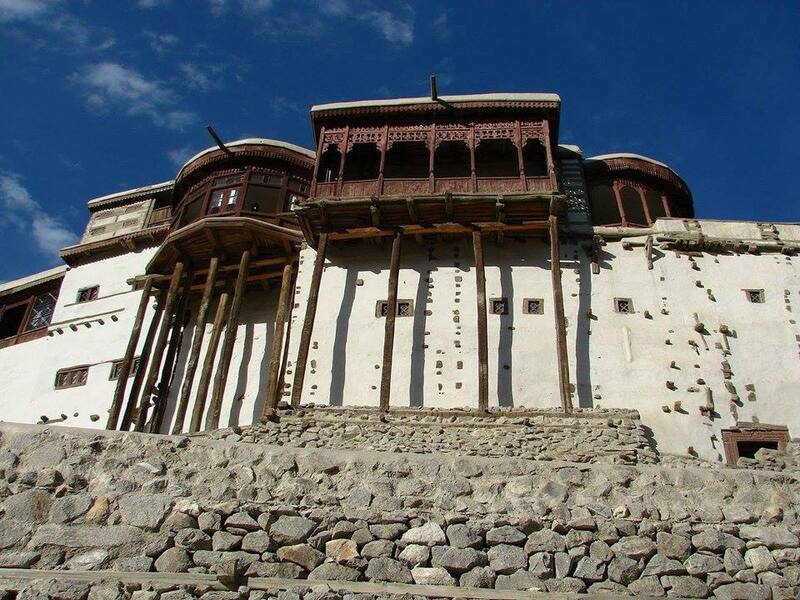 Tibetan traders referred to the beauty of this humble paradise as Shangri-La., after lunch, walk around Karim abad Village, see the culture of Hunza, Visit some Old traditional houses, meet the famous people of Hunza, dinner and overnight at hotel. 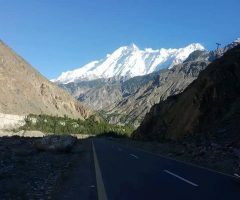 Early in the morning drive to Duiker, for sun rising on the top of some famous peaks in Hunza and Nagar Valleys, one of the best Bird View of Hunza and Nagar from Duiker, open-air breakfast at Eagle Nest Hotel Duiker, Drive back to Karimabad, we will take you to the 700 years old Baltit Fort, The old residence of Mir of Hunza, Balit on a rocky outcrop at the base of the Ultar Nala , you will also Visit the Altit Fort, which is 200 older then Baltit fort ,Evening you can spend your time walking in Karimabad Bazaar and enjoy view of Rakaposhi (7788m)Diran Peak,(7266m)Golden Peak(7027m),Ultar Peak( 7388m) Distagil Sar (7885m) etc. evening Traditional Hunza Dinner with Hunza Music and traditional dance. overnight at hotel. Day-11: KARIMABAD Hoper day excursion. Afternoon proceed to Karimabad, Dinner and overnight in hotel. After breakfast, drive to Gilgit ,90km hotel, almost one and half hour drive, and on arrival City tour of Gilgit and Kargha. 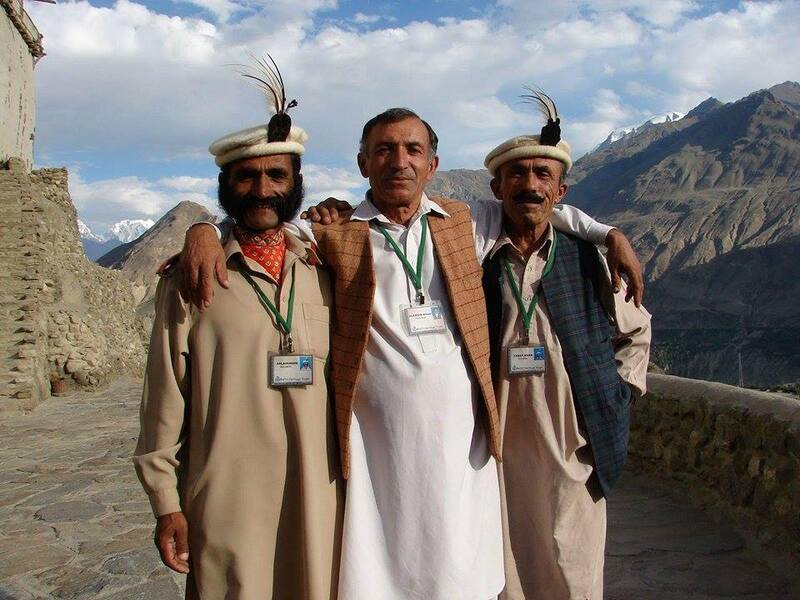 A visit to Gilgit and its Bazaar will give you an opportunity to become acquainted with mountain people. 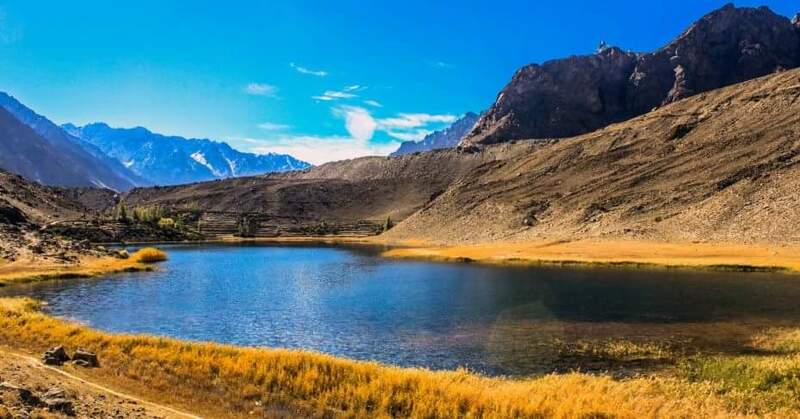 Situated 12km southwest of Gilgit is Kargah. A small valley with several large rock carvings of Lord Buddah, It is not know exactly when the carvings were completed, but the workmanship is definitely that of a talented master, evening back to hotel for dinner and overnight. 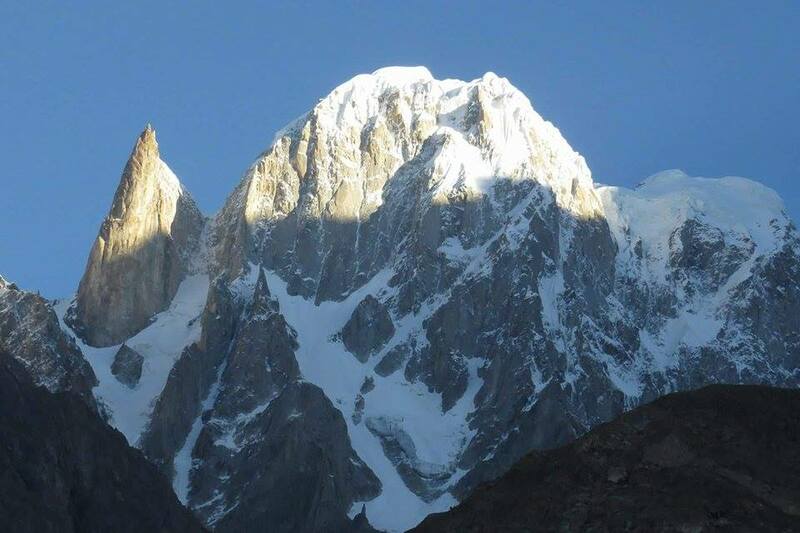 After breakfast we drive to Besham via mighty Karakoram highway,((303km) almost 10 hrs. en route we stop at Chilas and Shatiyal to see famous rock carvings, Lunch stop at Dassu, proceed to Besham, dinner and overnight in hotel. 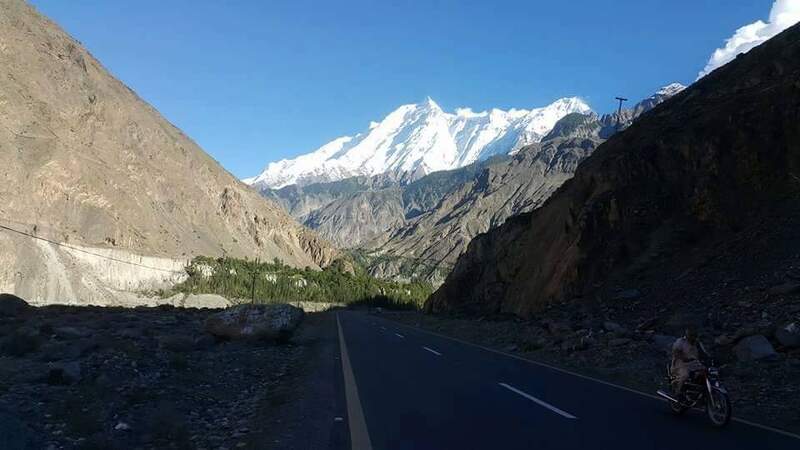 Early morning we do our breakfast at hotel, proceed to Islamabad with some photo stops, The drive to Islamabad is full of scenery and culture on the way is enchanting that you cannot come out of it until you stop at your hotel in Islamabad. (286km) 6-7 hrs. Afternoon free at Islamabad. Dinner and overnight in hotel. Day-15: Islamabad/Taxila and Fly homeland. Morning Rawalpindi and Islamabad city tour, proceed to Taxila, about 25km almost 45 min drive, an UNESCO world heritage site and most important site of Ghandahara Cultures some 2000 years ago. Visit the Museum with rich collection of artifacts and statues of Buddah dating back to pre-Christian era. Lunch at taxila, drive back to Islamabad, dinner at hotel, transfer to Islamabad International airport, Fly back homeland. Sunday 4th August Until Sunday 18th August. Sunday 25th August Until Sunday 8th September.